The fifth and final round of the RBS Six Nations 2017 kicks off this weekend - Saturday, 18 March - with England leading the pack. For them, it's about chasing consecutive wins. For everyone else, it’s about claiming second place. Read through this handy guide to see what strategy punters can adopt for the best odds! The Bravehearts' recent win over Wales, the first in over a decade, has seen the Scotland rugby side climb the Rugby World Rankings to fifth place, behind Ireland, Australia, England and New Zealand. Italy are not even in the top ten anymore, having failed to capitalise on Scotland’s bad luck last year. After nine straight defeats in a row, Scotland managed to turn the tide and score a decisive 36-20 victory against Italy in the 2016 Six Nations. Italy have yet to win in the 2017 Six Nations and, should the game go Scotland’s way, they'll be the definitive winners of the wooden spoon. Online betting sites like BetBright have Scotland pegged as the clear winners at 1/50, with Italy’s chances of upheaval marked at 11/1. The odds of a draw are even longer, at 44/1, and in the 26 games these two countries have played, not one has ended in a draw. However, that's not to say it won’t be a draw at half-time, in which case you could get odds of 20/1. The more interesting bets are to be found in the winning margins. BetBright is offering odds at 3/1 that Scotland will win by between 1-12 points. They last beat Italy 36-20 in February 2016 and the odds for over 12 points drop to 2/11, but after the recent thrashing by England, and with several injuries, Scotland might not be able to make the margins as big as in previous years. At this late stage in the Six Nations, France and Wales are almost neck and neck. Both teams have won two and lost two, with France just ahead in the table with 87 points, with Wales only three behind on 84. If Wales can achieve a convincing victory against the French side and overtake them in points, they could leapfrog into second place, assuming England see off Ireland. Although a French victory seems more likely, especially with online betting sites offering 8/15 in favour of the home side in Paris, Wales should not be disregarded out of hand for a win. BetBright is offering solid odds of 6/4 that the Dragons have some fire left in them, especially as it would mean potentially coming second. Given how tight the online bookmakers expect this game to be, the odds in the winning margins bets are also quite enticing. If bookies' favourite France win by 1-12 points, you would get a return of 6/4. If you think France will manage to hammer Wales, then this increases to 23/10. If the situation is reversed and Wales win by a small margin of less than 12, then you can get odds of 12/5. Should the Dragons fire back with a defiant victory of more than 12 points, then punters could reap the rewards with 6/1 odds. England’s recent 61-21 thrashing of northern rivals Scotland made it a straight four wins in the Six Nations, so the last game pits the top two in the table against each other. The English rugby team will be pulling out all the stops, as a victory here would give them 19 consecutive test wins, beating the current record held by World Cup winners New Zealand. England are the clear favourites with odds of 8/13, chasing both an untarnished record in the 2017 Six Nations, as well as a record-breaking number of wins. Should England manage to beat the home side in Dublin by over 12 points, BetBright is offering players odds of 5/2. However, the last time that happened was in 2012. So it’s more than likely it'll be a margin of less than 12 points, which has more reasonable odds of 8/5. 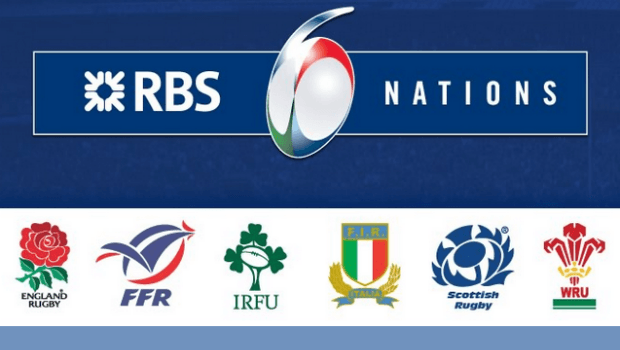 If you think you can guess the scores and outcomes of the Six Nations Round 5, why not visit BetBright now to place a potentially prosperous wager? If you join today, the bookmaker is offering a £100 free bet, which can be used against all your rugby betting!